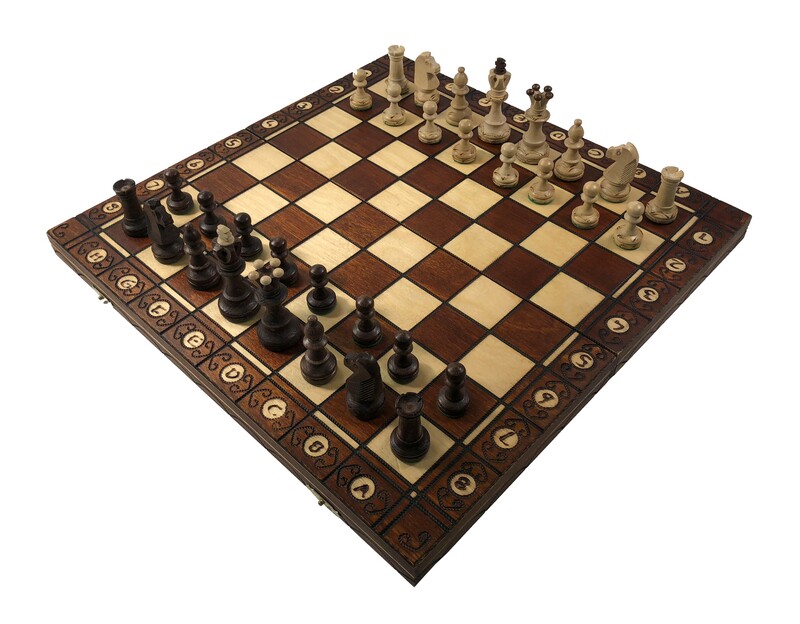 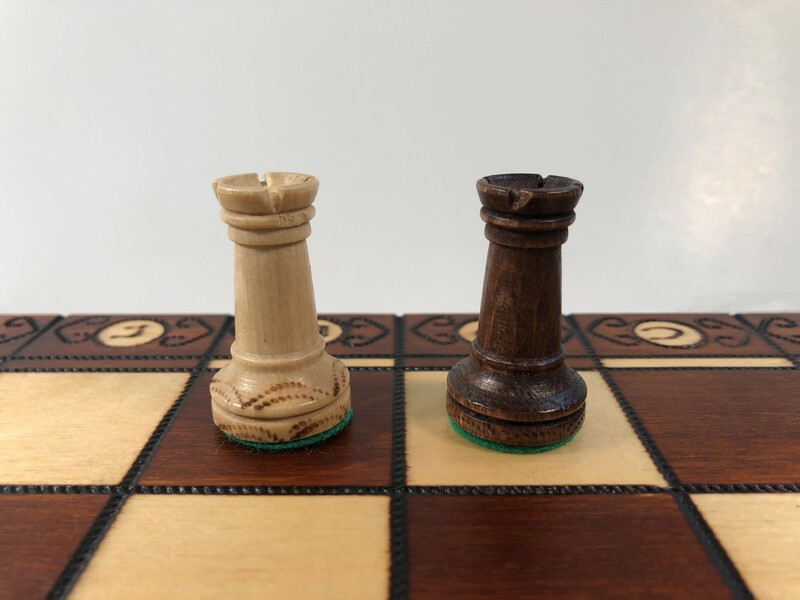 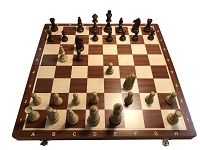 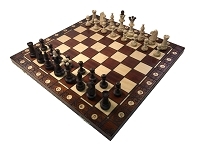 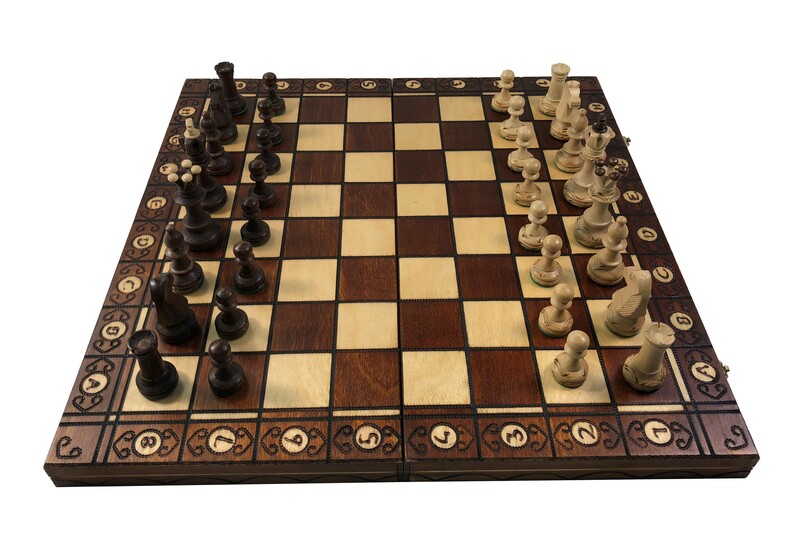 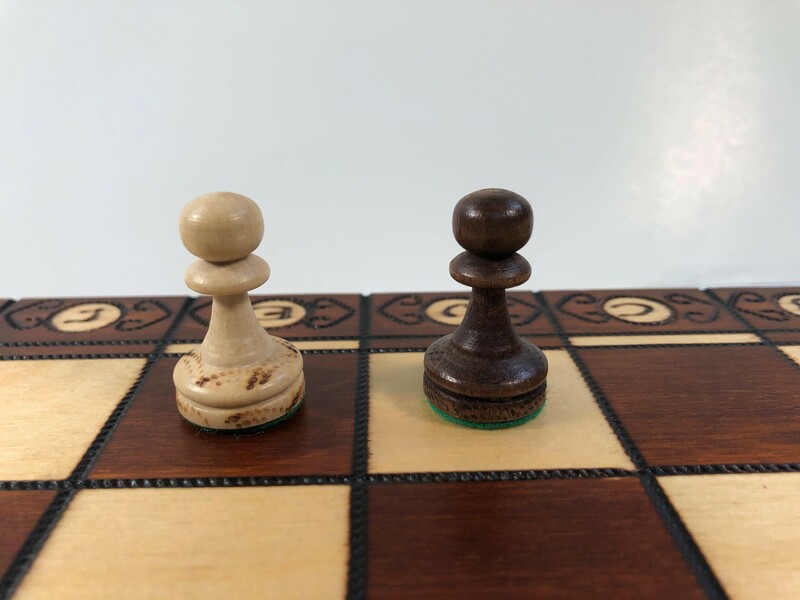 Chess Board size 16" X 16"
Chess Board is notated for ease of game review. 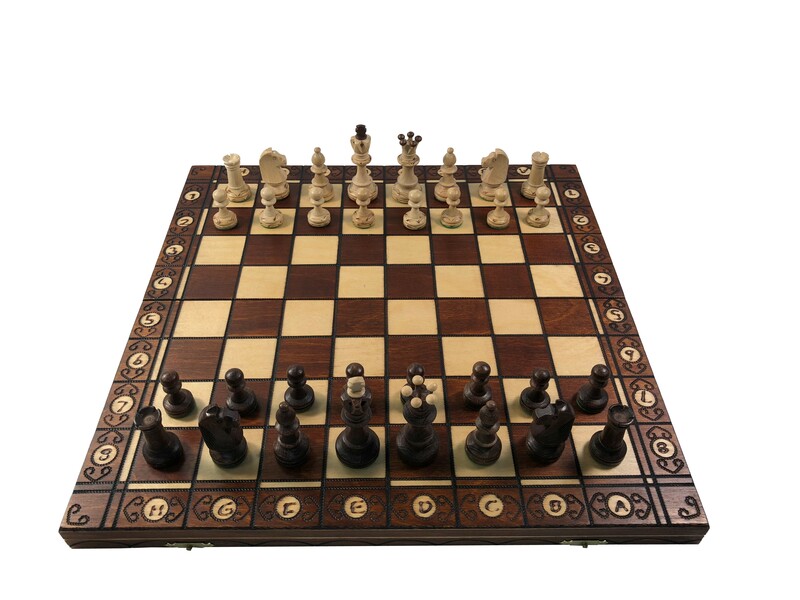 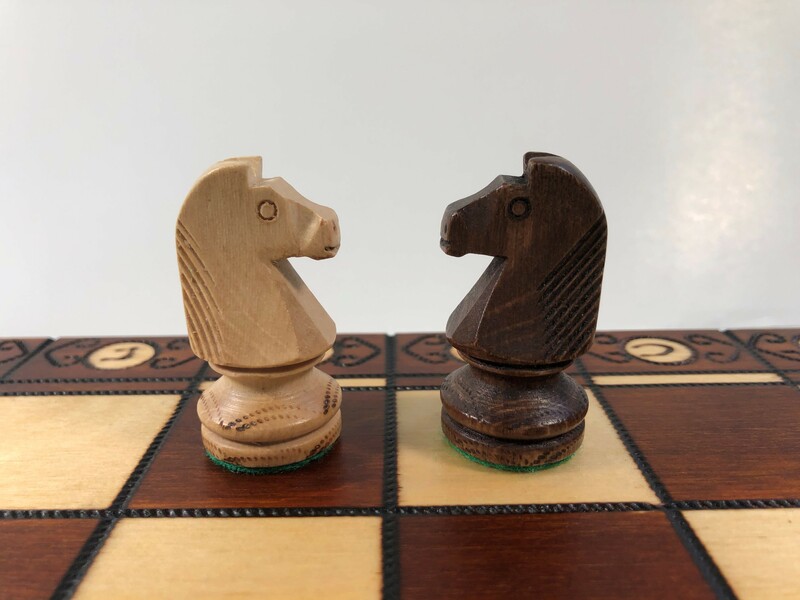 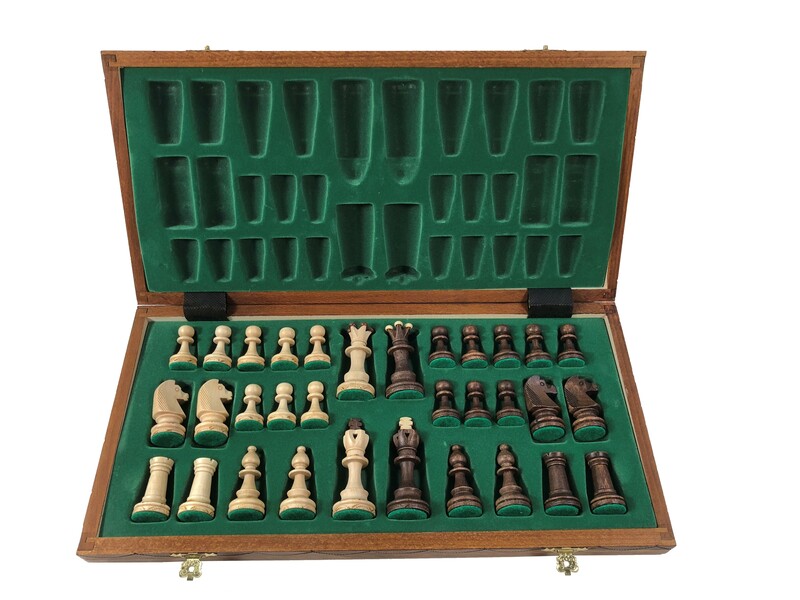 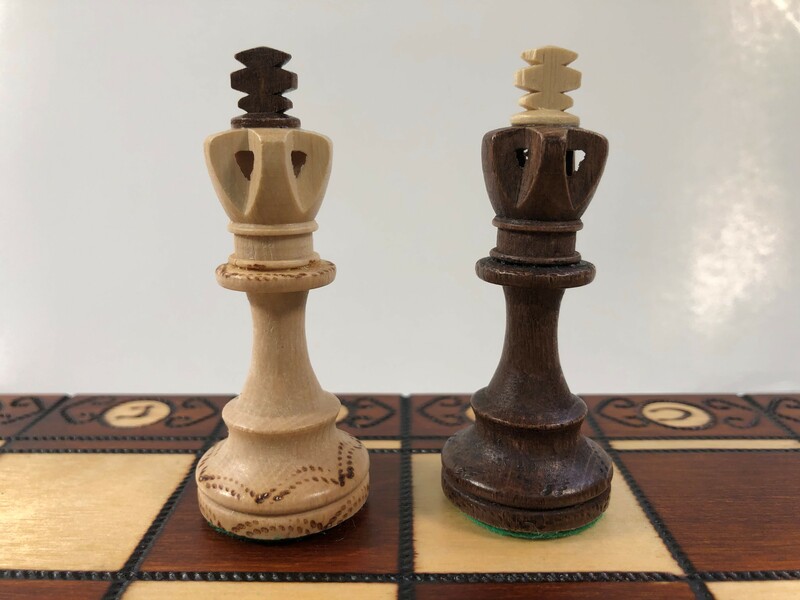 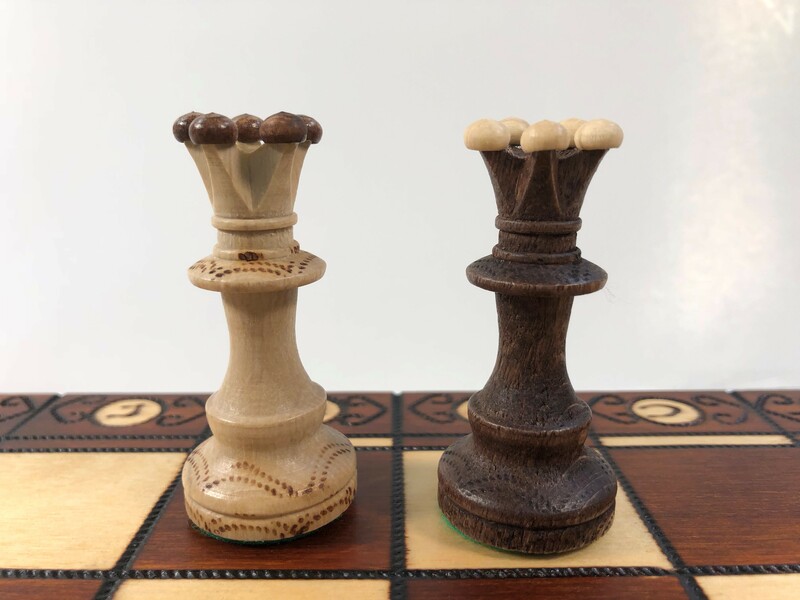 European design chess set with accent colors on the kings and queens. 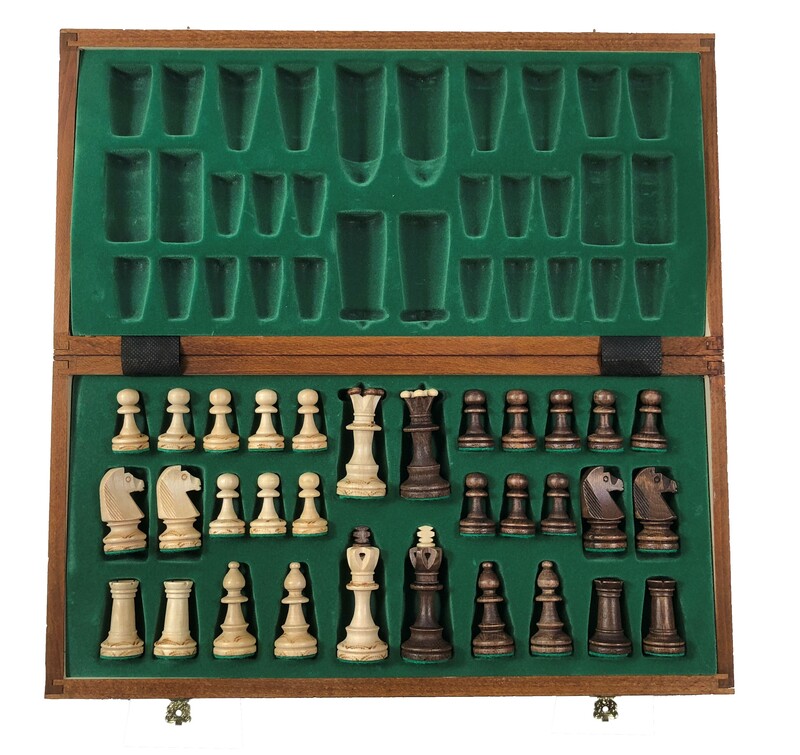 A nice display piece for any living room or den. 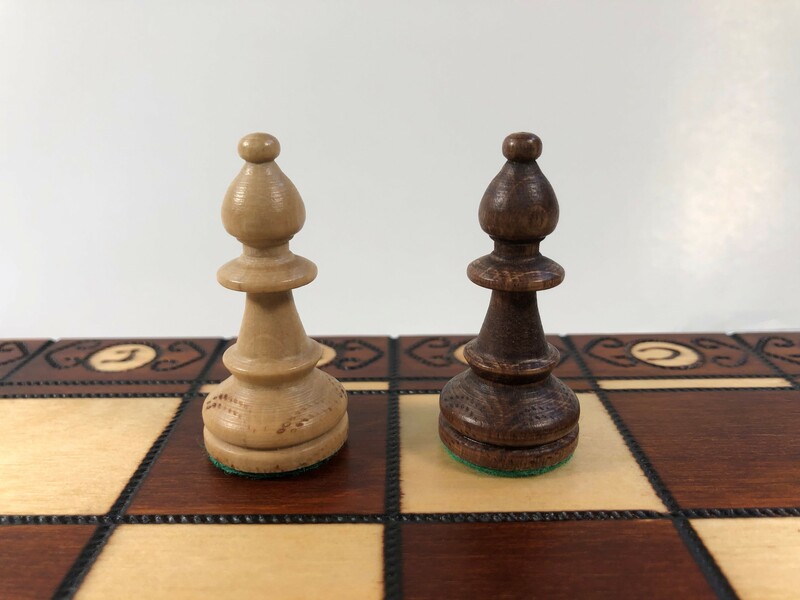 Pieces are weighted and felted.